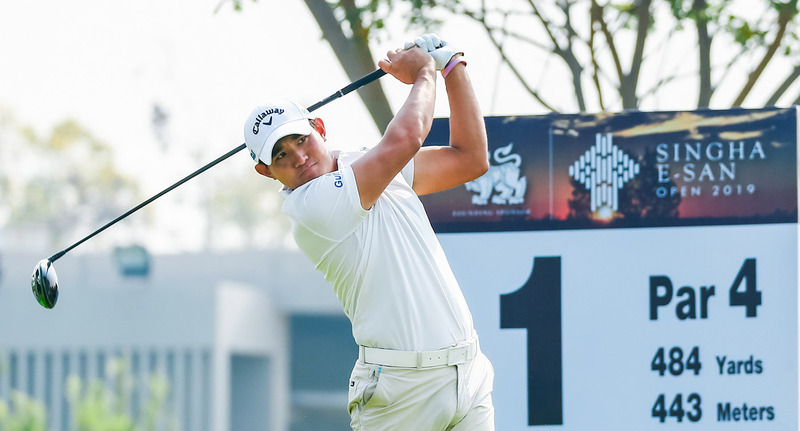 Pavit, 29, shot a 7-under with nine birdies against a double bogy at 4th while Danthai made an eagle, four birdies and a bogey at par-72 course in the northeaster province of Khon Kaen. Both players, who are each seeking their third win on ATGT, were on 11-under, one shot ahead of overnight leader Poom Pattaropong, who fired a 70 with three birdies and one bogey. Chaiphat Koonmark enjoyed his bogey-free round 68 with four birdies to stay 4th on 9-under. Suradit Yongcharoenchai moved up to share 8th on 8-under with Piya Swangarunporn (70). American Johannes Veerman shot a 71 to share 8th with seven players including local hopeful Thanyakorn Khrongpha (70), Sadom Kaewkanjana (71), Charng-Tai Sudsom (69), Poom Saksansin (70), Chonlatit Chuenboonngam (72), Thaworn Wiratchant (68) and Arnond Vongvanij (69). Defending champion Rattanon Wannasrichan, who won the ATGT's Order of Merit last year, posts a 69 to meet the cutline of 143. 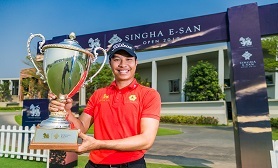 Itthipat Buranatanyarat (70), who won the season-opening Boonchu Ruangkit Championship, Thai-Japan Kosuke Yamamoto (73) and Udorn Duangdecha (71) exactly met the cutline. Fifty-one players have qualified for the weekend rounds.